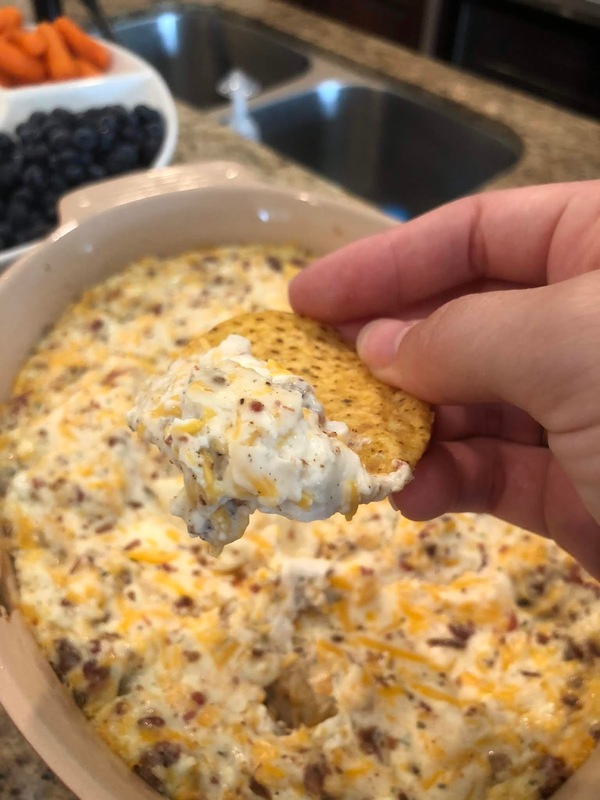 I didn't come up with the name for this one, but this recipe saved me when I needed to make a dip for a football party in a pinch. 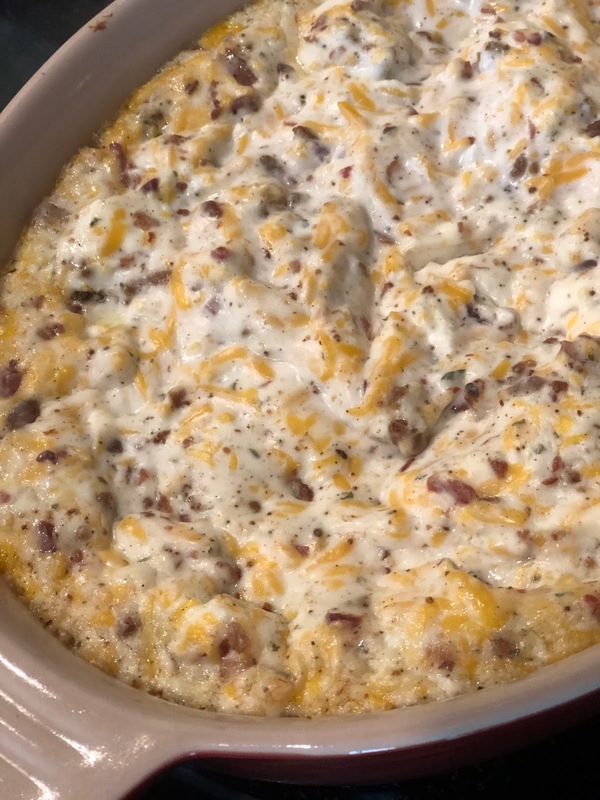 It was so easy, so cheesy, and so perfect for football season! If you're having some friends over to watch the big game, this is a dish that will be gobbled up quickly! Bonus: It takes 5 minutes of prep time and is ready in under 30 minutes. That is my kind of dish. 2. In a medium bowl, combine all ingredients and mix well. 3. Transfer mixture to a baking dish, and bake dip for 25-30 minutes or until hot and bubbly.